This year’s South Florida Classical Review top ten list is a joint effort with the baton handoff on reviewing duties coming in early May. WIthout further ado, the winners and dubious distinction awards of 2009. Franz Welser-Möst’s podium appearances have been mixed since the Cleveland Orchestra’s Miami residency began in 2007, but their January concert was a triumph. In unlikely repertoire, Welser-Möst’s commanding, eloquent performance of Shostakovich’s Leningrad symphony revealed a depth and richness that went beyond volume and patriotic tub-thumping to reveal the wartime work in an entirely new light. The playing of the Cleveland Orchestra musicians was astounding in its refinement and transparency even in full roar. The collaboration between soprano Measha Brueggergosman and Welser-Möst in Wagner’s Wesendonck Songs on the first half was on the same high level. Five years ago, Sarasota Opera presented a riveting performance of Puccini’s shabby little shocker that people are still talking about. Few expected lightning to strike again in this year’s revival with an entirely different cast. Yet once again under the fiery baton of Victor DeRenzi, a trio of hard-working singers (Kara Shay Thomson as Tosca, Rafael Davila as Cavaradossi and Grant Youngblood as Scarpia), served up an equally crackling night of vocalism and drama that had audience members on the edge of their seats. The fact is Sarasota Opera just does one hell of a Tosca. 3. Jeremy Denk’s performance of Ives’ Concord Sonata. The highlight of the New World Symphony’s Ives Festival in February was pianist Jeremy Denk’s full-metal assault on Ives’s craggy, sprawling Concord Sonata, a tour de force performance as technically remarkable as it was rich, deep and exploring. The electrifying performance of Nielsen’s Symphony No. 5 by Peter Oundjian and the New World Symphony powerfully conveyed the Danish composer’s distinctive universe, where a pastoral world is continually disrupted by violent upheaval, with the clouds of war manifest on the horizon. The Canadian violinist-turned-conductor drew playing of seismic intensity from the New World players. 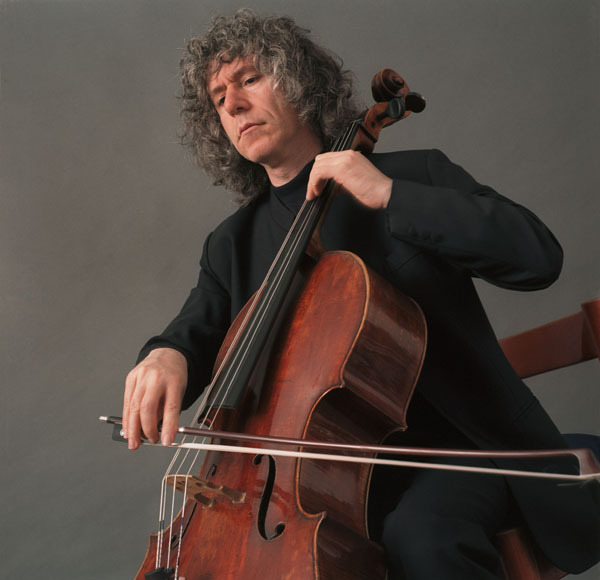 In a rare Saturday night event for Doreen Marx’s Sunday Afternoons of Music, British cellist Steven Isserlis lived up to his reputation with a quirky March program of Mendelssohn, Schumann, Martinu and Janacek that was charming, intelligent, and extraordinarily exciting, with pianist Connie Shih an equally fiery partner. Florida Grand Opera (and out-going music director Stewart Robertson) managed to close another lackluster season on a high note with a well cast, handsome and compelling production of Puccini’s tragedy with Shu-Ying Li delivering an emotionally shattering performance as the doomed Cio-Cio San. 7. Marcello Giordani’s concert at the Arsht Center. Any of the three male singers that Judy Drucker brought to Miami audiences via the short-lived Florida Grand Opera “Superstar Concert Series” could have qualified, but Marcello Giordani’s concert stands out for the visceral thrills and Italianate vocal panache the Sicilian tenor brought to his Arsht Center program. 8. Miami Lyric Opera’s Cavalleria Rusticana and Suor Angelica. These May performances by the low-budget company demonstrated how the essence of opera can come through with great singing and sensitive, intelligent staging even without a large orchestra and lavish sets. Especially impressive was the powerful, intensely focused voice of tenor Francesco Valpa (above) as Turiddu in Mascagni’s Cavalleria. Conductor Thomas Sleeper (above) drew a surprisingly mature and sweeping performance of Brahms’ Symphony No. 1 from the young musicians of the University of Miami’s Frost Symphony Orchestra on Festival Miami’s opening night in October. Tian Ying’s energetic performance of Beethoven’s Piano Concerto No. 5 was a fitting prelude. The former music director of the Florida Philharmonic Orchestra led a stylish and inspired performance of Handel’s Messiah with the Boca Raton Symphonia and Master Chorale of South Florida, showing what the loss of resident star-quality musical leadership has cost South Florida. FGO’s appallingly under-rehearsed and indifferently sung Le nozze di Figaro; the New World Symphony’s sloppy Mahler First at the Arsht Center and amateurish Mozart chamber concert in October; the elephantine, cochlea-damaging Henry Brant orchestration of Ives’ Concord Sonata at New World; FGO’s Pag and Suor this fall, for predominantly third-rate singing and clumsy, literal-minded stage direction. Florida Grand Opera, a perennial in this category, for its Castro-like media-bashing tactics whenever it receives a less-than-adulatory review. Try doing Mozart operas on more than two stage rehearsals guys, and maybe you’ll see better results. FGO’s general director Robert Heuer for the sacking and public trashing of Judy Drucker just weeks after he extolled her work in organizing the FGO Superstar Concert Series from the stage of the Knight Concert Hall. All parties involved for letting the Concert Association of Florida go down the tubes this spring. Perhaps the time for independent presenters of ambitious concert series has passed, and, in this parlous economy, CAF may not have been able to survive no matter who was at the helm. But the clueless, arrogant way the Concert Association was managed after Drucker’s exit didn’t give the 40-year-old organization much of a chance. Both the Broward Center for the Performing Arts and the Arsht Center for quickly organizing their own classical series in the wake of the Concert Association of Florida’s demise. Judy Drucker, for not only providing South Florida with three of the finest vocal events of recent years in 2009 via the short-lived FGO concert series, but for all the wonderful concerts and first-class artists and orchestras she brought to South Florida audiences for four decades. Thank you, Judy. Posted Dec 24, 2009 at 10:59 pm by Jim S.
Measha Brueggergosman was also wonderful in her performances last week with the New World. We are lucky to see her twice in one year in Miami! I enjoyed the whole concert very much last week. Looking forward to reading your opinions on it here. Especially enjoyed Wigglesworth’s short intro – Informative and not too long-winded. I thought it was a great program, and well-executed. Overall I agree with you. But your comments about New World Symphony’s Mozart chamber concert are way off. 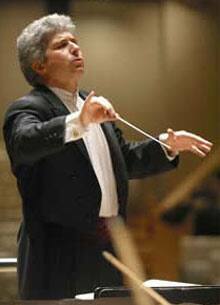 The Mozart Symphony on that program was perhaps the most exciting and interesting thing they have done all season. Furthermore your comments seem to not be able to take into account what was, perhaps, a piece you didn’t like and how the players executed it. We agree on the choice of #1 – that Cleveland Orchestra concert was great. The Miami Symphony Orchestra got no mention. Yet the Cleveland Orchestra did. When is South Florida going to start supporting south Florida musicians?